One of the most commonly used features in Microsoft Excel is the Pivot Table. A Pivot Table simply allows you to make better sense of data by giving you different options of how to view that data. 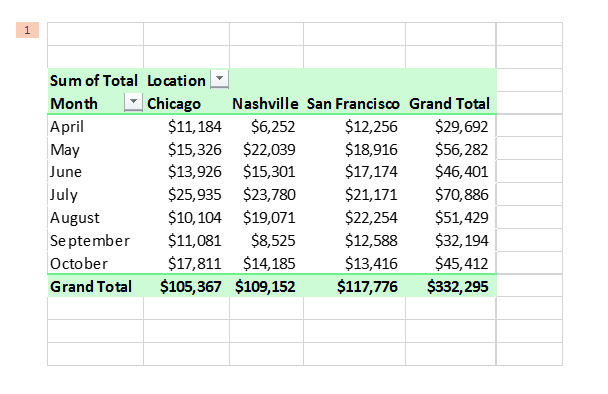 Furthermore, Pivot Tables allow you to do this without altering your source data. Unsurprisingly, Pivot Tables are a powerful data visualization tool that can lead to the discovery of patterns in the underlying data and provide actionable insights. 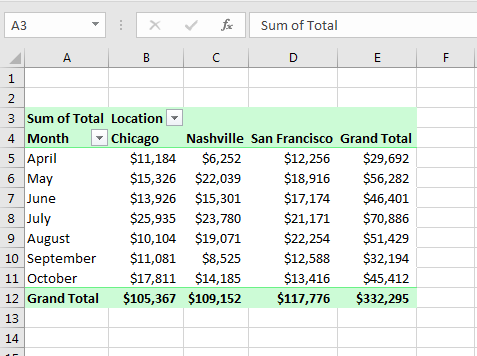 The use of Pivot Tables in Excel is a high leverage move in itself. Even more exciting than that, you can use a Pivot Table with all its interactive features within a Microsoft PowerPoint slide. 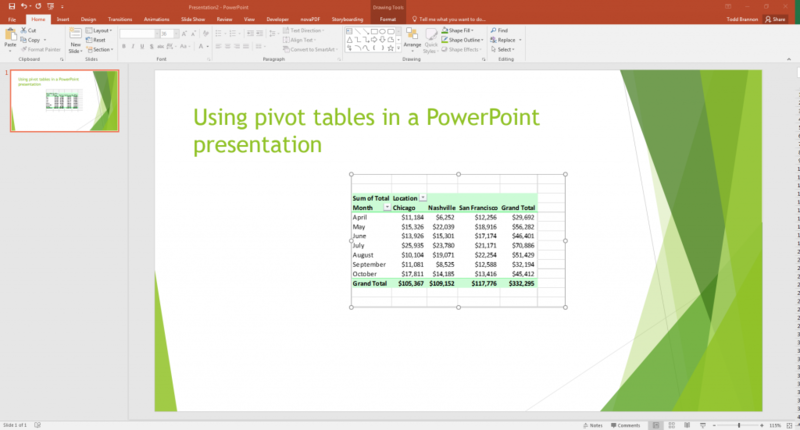 So, let’s take a dive into how we can begin adding an Excel Pivot Table to a PowerPoint presentation. 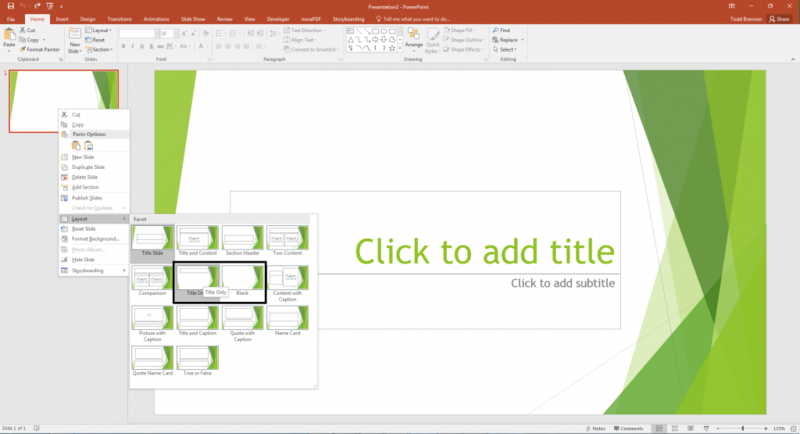 Note that in this tutorial, we are using Microsoft Excel 2016 and PowerPoint 2016. First thing we want to do is open a Blank Presentation (or add a new, blank slide to an existing presentation). Next, change the Slide Layout to Blank or Title Only by selecting the Home tab | Layout | Blank or Title Only options. You can also access these same options by right-clicking the slide in the Slides pane, and then choosing the Layout option (see Figure 1). Now that we have a new blank slide, we can open our Excel workbook and insert our Pivot Table if we have not already done so. 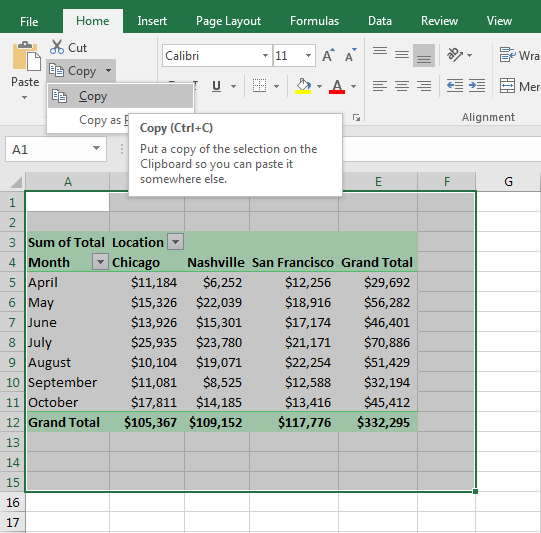 Select the area in our worksheet that includes the Pivot Table and copy. 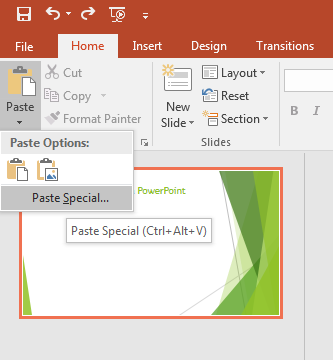 In PowerPoint, select Paste Special from the Paste drop-down in the Clipboard group on the Home tab. 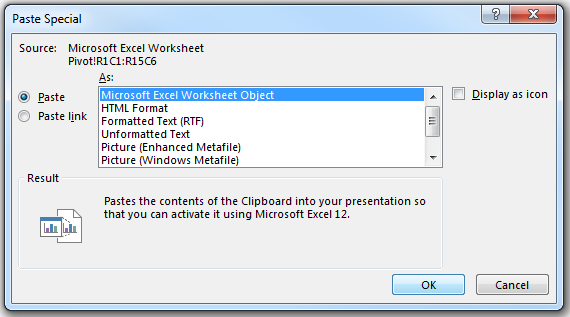 From the Paste Special wizard, select Microsoft Excel Worksheet Object from the As list box and click OK, as shown in Figure 5. 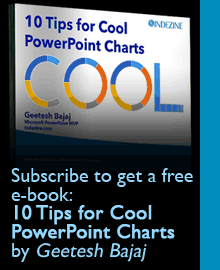 You should now see an image of your copied Pivot Table in your PowerPoint slide (see Figure 6). In PowerPoint, go to the Animations tab and click on the More drop-down arrow on the far-right edge of the animations shows in the Animation group. Then select OLE Action Verbs in the drop-down list (see Figure 8). When the OLE Action Verbs wizard appears, simply click on Edit and then OK. Note: OLE stands for Object Linking and Embedding. The number at the top left corner of the pasted Pivot Table indicates it has been successfully applied. 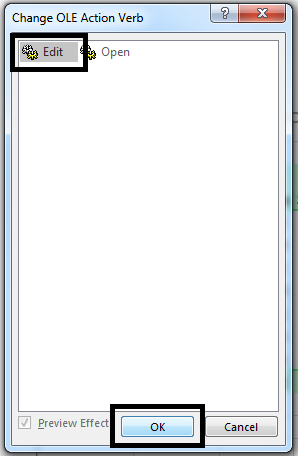 If you cannot see the number, that may be because the Animations tab of the Ribbon is not active. Note that the workbook that contains your Pivot Table does not have to be open at this point. 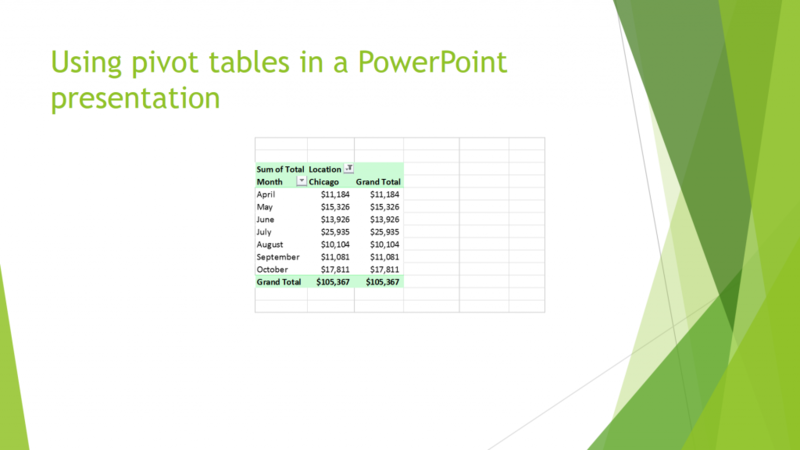 PowerPoint will simply open an instance of Excel called ‘Worksheet in PowerPoint Slide Show’ when you click on the Pivot Table image in your slide when in presentation mode. By clicking on the Pivot Table in the PowerPoint slide while in presentation mode, you can now change Pivot Table in the worksheet that opens and those changes will appear dynamically in PowerPoint. Notice here that when we filtered on ‘Chicago’ for location in the worksheet Pivot Table (see Figure 12), the Pivot Table embedded in our PowerPoint slide changed dynamically to show only data for the Chicago location (see Figure 13). With Excel 2016 and PowerPoint 2016, it is that simple. You can clearly see that it takes little time and effort to embed a Pivot Table from your Excel files into a PowerPoint slide. This simple process will allow you to create some prolific presentations – presentations where you can visualize your data in different ways by changing filters on the fly. Kasper Langmann is a certified Microsoft Office Specialist and co-founder of Spreadsheeto. Kasper has worked professionally with Excel since 2009. His courses, and tutorials have been viewed by thousands of people from all over the world. Kasper always strives to deliver actionable tutorials, they are engaging and easy-to-follow. Be sure to check out his free, online, Excel training here.